Patrick Godana, from Sonke Gender Justice, a South African non-profit organization, tells his amazing life story and reports on the work of valuing fatherhood in South Africa and on the importance of engaging men in caregiving. I was born in Port Elizabeth in the Eastern Cape. (This is a province with a long history of political resistance and most senior leaders in the South African ruling party were born in this province). I’m currently based here in Cape Town with my loving wife Thoko and my two sons Sivenathi (19 years old, in his 2nd year at UCT) and Kuhle (10 years old, in Grade 4). I was highly involved in the political liberation of our country and had to leave the country at a tender, youthful age, was trained as a combatant, and a few months after my return to South Africa, was arrested tortured, detained and heavily interrogated and later tried and sentenced to 5 years imprisonment. I was then privileged to have studied Theology, where I met a profound feminist theologian Dennis Ackerman who helped indeed in reflecting on my own socialization and began to re-collect my broken pieces and participate in shaping and sharing the fullness of life. I participated in the development of men’s curriculum here in SA (Men as Partners): the first ever program designed to work with men and boys in relation to women, and I have been part of Sonke since her inception- involved in the Community Education and Mobilization Unit. I have travelled extensively to give presentations and trainings around the globe, have represented Sonke at various meetings nationally and internationally, and have learned a lot in the process. 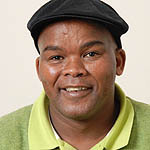 I am currently serving at Sonke as the MenCare Government and Media Liaison Manager. 2. What work does Sonke do to engage fathers? We engage fathers in various ways to take positive stands against all forms of gender violence and its twin partner HIV and AIDS. We work with men at three levels: as clients, allies and agents of change. Specifically with the call to Positive Parenting: Sonke works with fathers to support them in their role in the care and protection of children, so as to increase the wellbeing of children, women and men, thus benefitting families and the community at large. We use a human rights framework in doing this work. 3. 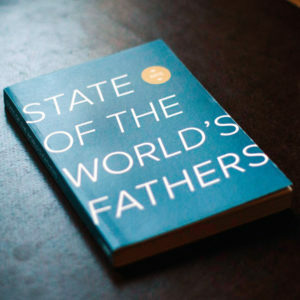 What is the importance of valuing fatherhood in the African setting? Allow me to reflect on my own experiences in an attempt to present my answer in perspective. I am born of loving and yet a violent father. At home were 10: 8 children and 2 parents in a 3-room house. I have never seen my father kissing my mother but have seen him many times beating her, and this left me with narrow view of what fatherhood is all about! Is it about beating women, no family planning and also not spending time to express love to your partner openly so that we may have sweet memories? This is the kind of challenge that confronts most households in Africa. Men are not expected to play a meaningful and emotional role in the wellbeing of children. They never find time to speak and listen to their children. JUST LISTEN because kids have stories to tell. As the so-called head of the family you always give orders! This has got to change and therefore engaging fathers to be actively involved in lives of children is a priority if we are serious about changing the tide. 4. What are some of the issues affecting fatherhood in South Africa, and Africa more broadly; what might prevent men from taking an active role in caregiving? • Most men have never had fathers in their lives, even those who were physically present are not there emotionally. • The migrant labor system is another factor that affects fatherhood. 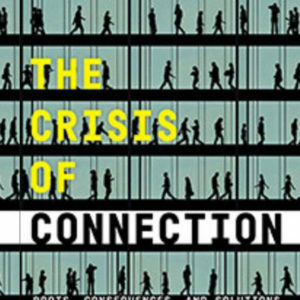 • The political history of our country has caused fathers to leave the homes to exile or prison. Even those who were maintaining the apartheid system were caught in a situation of being absent from their families and violence they perpetrated is also catching up with them as well. • Social expectations on fathers carry harmful meanings of masculinity. In some cultures fathers throughout Africa are barred from participating in antenatal sessions. • Caring is not being seen as work and is equated to women as if they do not matter and yet are doing huge amount of work. • Also the labor conditions are still not friendly to fathers to participate in the child development. • The policies in country and across Africa do not seem to encourage men to participate in child development. 5. What type of positive changes have you seen in fathers through your work with Sonke? What do you think is responsible for those changes? Men are changing and they do care! Men are now keen to express their full humanity as they realize that they are not born violent. Fathers are not only accompanying their partners to healthcare center’s, but they also want to be part of the consultation process. Men are also keen to participate in the lives of children where they are not necessarily biological fathers but are taking child caring seriously: slowly but surely. MenCare/fatherhood initiatives are creating awareness and people are getting interested, attending father-schools, and participating in other related trainings in a quest to increase their knowledge, which in turn will bring about a high demand for wanting to be emotionally present in child care and for their partners. 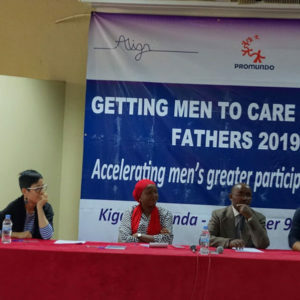 The media work we do around issues of men and care are starting to inspire men to seek for more information and changing of attitudes with regards to fatherhood. Sonke and her allies are also working very closely with policy makers in ensuring that laws are changing to support equitable parenting. Finally men are not born violent this is a learned behavior and if it is learned, they can unlearn it and start experiencing the fullness of life.